You can find a lot of Halloween decorations that are meant to be hung on or in your house; why not hang them from your fence? 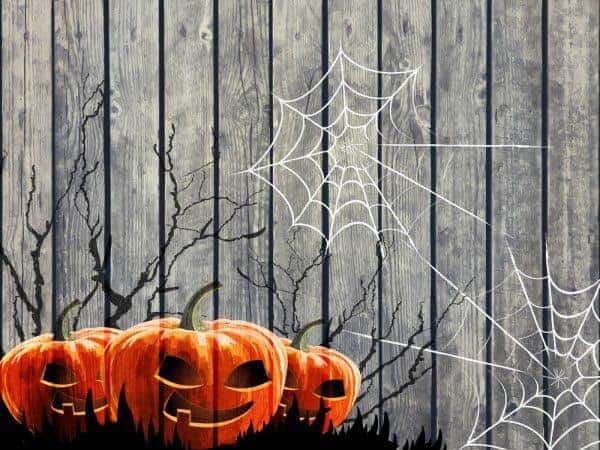 Ghostly images, bats, spiders, and other things associated with Halloween can all adorn your fencing. Just avoid using stickers since they may damage your fence. There’s nothing quite as unsettling as the feeling that you’re being watched. If you have a witch, skeleton, or other spooky figure peering at passersby over the fence, it’ll seem like there’s a dark figure just waiting to spring upon them. Cats are known to like walking along fences. 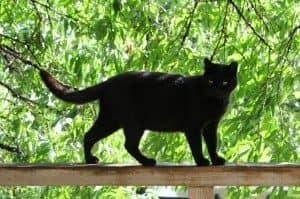 Since black cats are associated with Halloween, a black cat on your fence makes for a fitting decoration. Of course, you’ll never get Fluffy to stay perched on your fence, so you’ll have to use a fake cat. But still, find one with piercing eyes and your fence will have a nice Halloween addition to it. If you have a gate on your fence, you’ve got a great opportunity for a creepy decoration. Put a sign on the fence that says “Cemetery” and add fake vines and cobwebs to make it look spooky and decrepit. If you have a wrought iron fence or an archway over your gate, it’ll make the cemetery entrance seem really authentic. Many people are aware that a group of crows is called a murder. That’s because these dark birds are scavengers who can often be found amongst the dead. 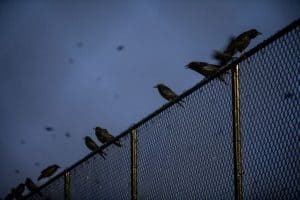 Their association with death and their dark feathers make them great Halloween decorations when you perch them on your fence (fake ones, of course). Does your fence already look like an old, decrepit Halloween decoration without you adding anything to it? Then it may be time for a new fence. The fencing specialists at Rustic Fence can spruce up your property with a new, beautiful fence that looks great for years to come. Contact them today to learn more about their fencing options.